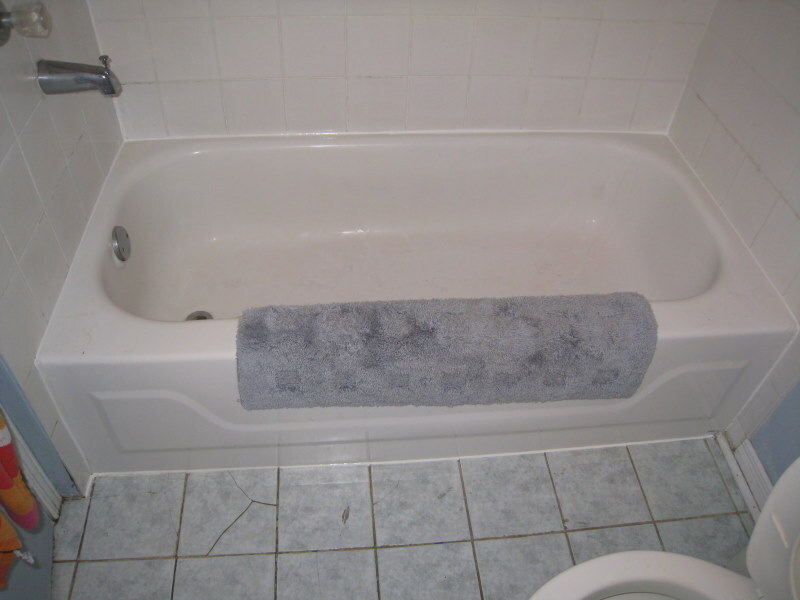 The bathroom in this rental property required some care. 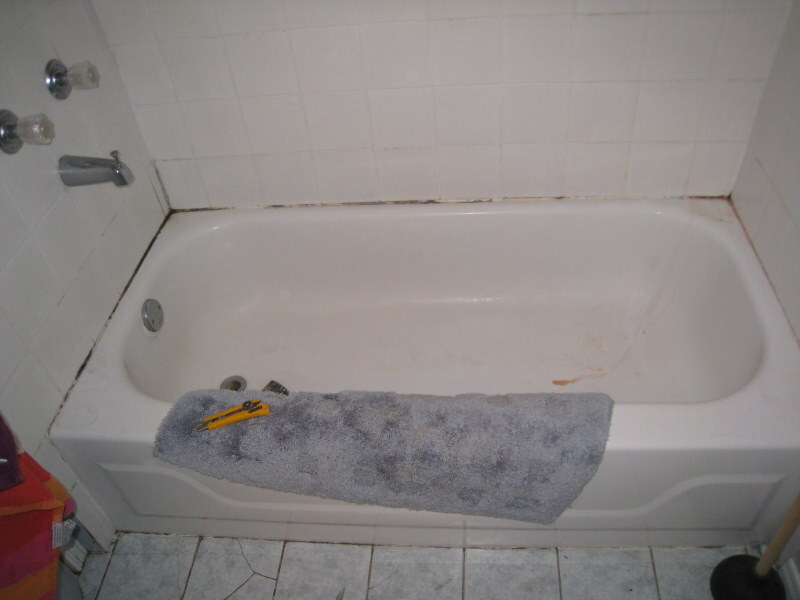 The old, moldy caulking was removed. New caulking was applied.